St. Francis of Assisi gave up all the trappings of a privileged lifestyle to follow God. Not necessary for guests at the St. Francis Inn in St. Augustine, Florida. 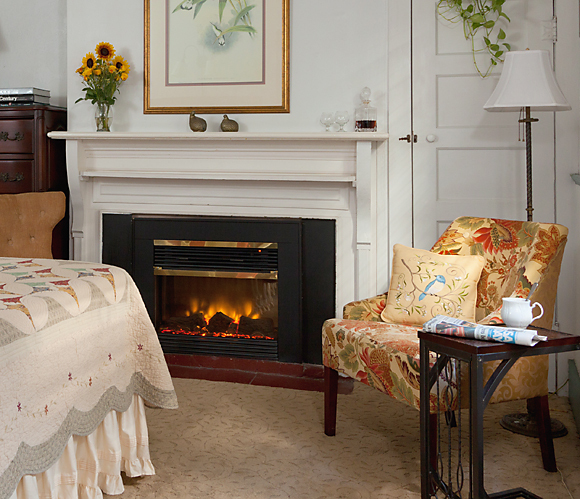 In fact, the St. Francis Inn lavishes lodgers with more amenities than one might pray for. 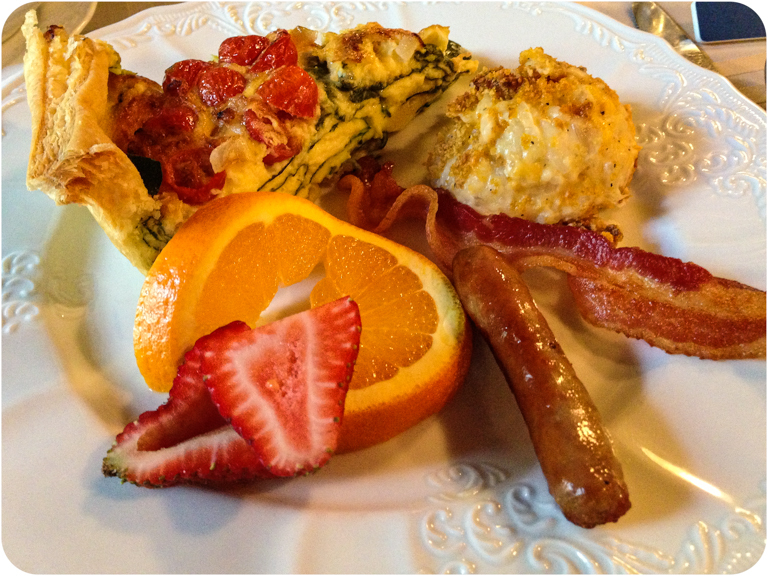 The cozy Bed and Breakfast, located in the oldest section of America’s oldest city, offers a bountiful breakfast buffet for a few hours each morning (time depends of day of the week). Guests do not need to sit and eat with others in the dining room unless they choose to. Lodgers have the option of using a tray to take their breakfast goodies out to the courtyard, into their room, or for that matter anywhere they choose. Afternoon snacks include hearty hors d’oeurves plus wine, beer, ice tea, soda or flavored water. Cucumber and melon flavored water were beautiful displayed in glass containers when I visited. Complimentary non-alcoholic drinks remain available throughout the day. Desserts are offered each evening from 8:00 – 9:30pm. The scrumptious baked items are masterful homemade creations by Janice, the chef at the Inn. She makes special birthday, anniversary or other occasion delights upon request. Her chocolate covered strawberries are some of the best I have ever tasted. And, late night snackers may help themselves to chips and soda. But St. Francis extras don’t stop with food. 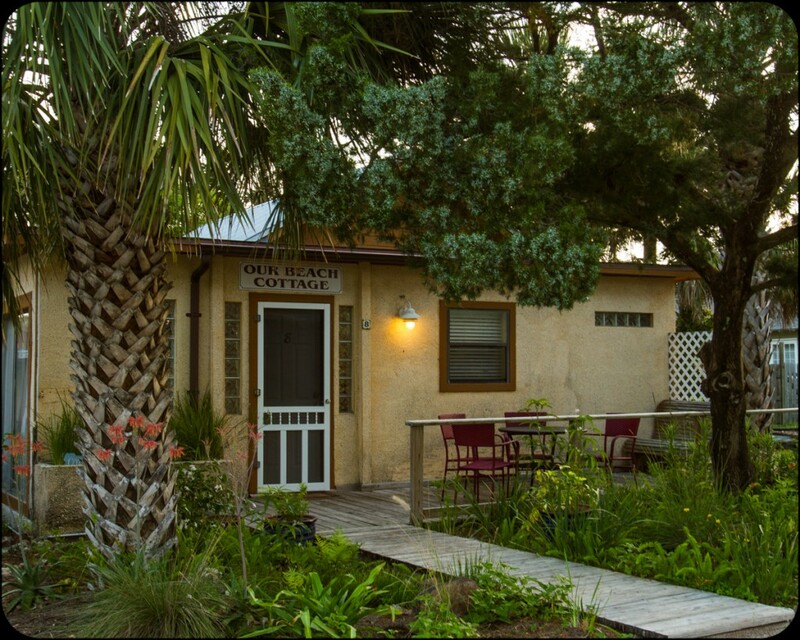 Guests at the historic area inn are offered the option of exploring St. Augustine Beach, about 8 miles away, with access to reserved parking, beach chairs and full bath/shower facilities. This is a real plus in my mind because beach parking can be difficult. The Inn also offers beach sleeping options. Reserve their Beach Cottage and you’ll get 2 bedrooms, full kitchen, living and dining room, plus indoor Jacuzzi. 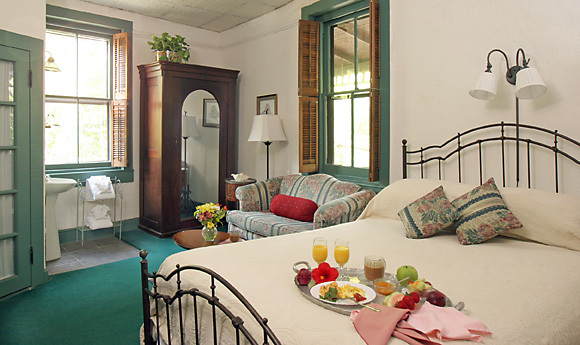 Complimentary high speed WiFi runs throughout the inn and the St. Francis has their own solar heated swimming pool. Guests also have complimentary use of bicycles in the Old City, free tickets to the Lighthouse and 50% off discounts for tours of the Oldest House. A special promotion in 2013 gives Inn guests who stay for two nights Sunday thru Thursday at regular rates a complimentary admission (valued at $59 plus tax per person) for a two-hour Segway Through History ride. Advance reservations are required but this is a way cool way to see America’s oldest city. 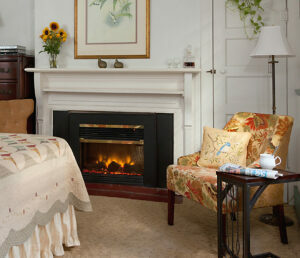 Innkeepers Joe and Margaret Finnegan maintain a generous spirit and like to spoil their guests with abundance. 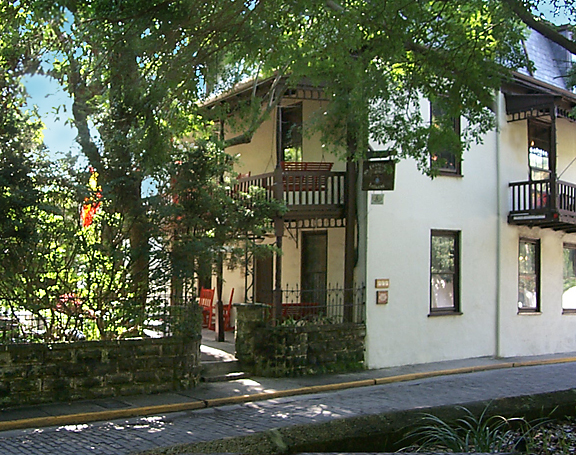 Guests clearly feel welcome and many find they simply must return to re-experience the charm of the St. Francis Inn in St. Augustine. My stay at the St. Francis Inn Beach Cottage arranged by Leigh Cort Publicity.